The Ténéré spirit is hitting the world stage again with the 2018 Ténéré 700 World Raid prototype about to lap the globe over every terrain imaginable, through all the conditions you could conceive and over incredible distances. 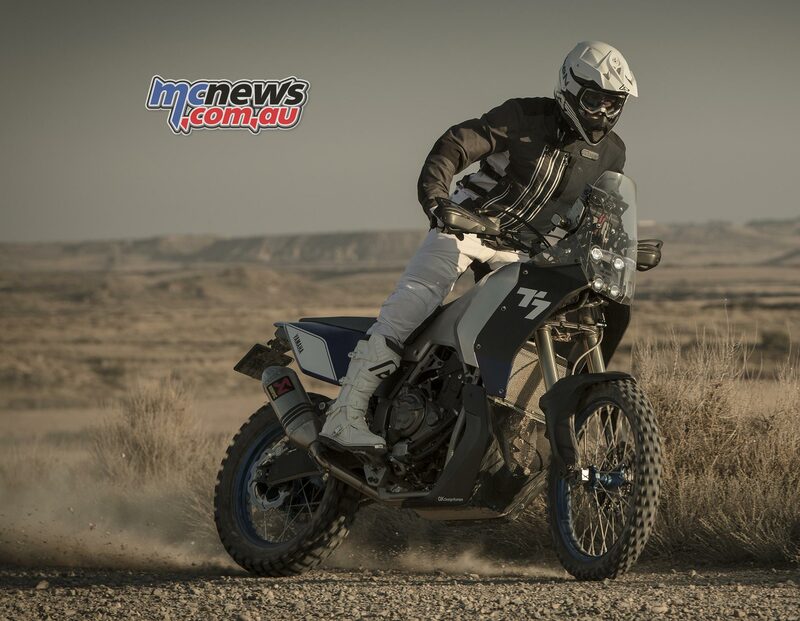 The Ténéré 700 World Raid will be piloted by ambassadors who are some of the greatest names in off-road racing, true pioneers, ground breakers and visionaries. 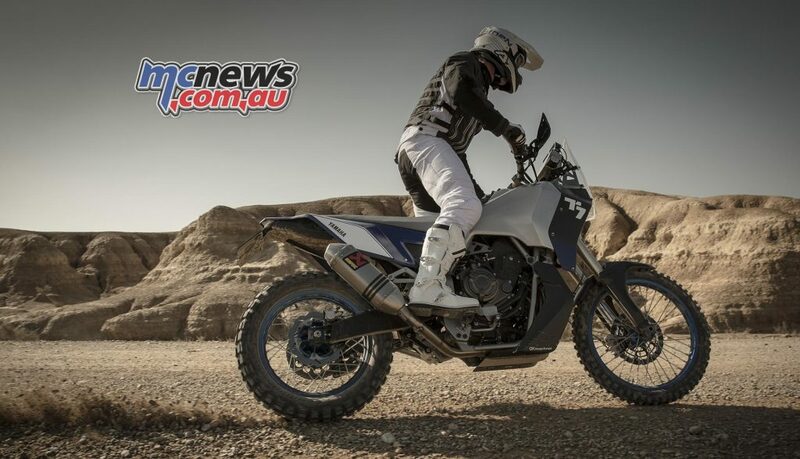 The 2018 Ténéré 700 World Raid has kicked off right here in Australia, with the tour’s first ambassador, Yamalube Official Yamaha Rally Team rider Rodney Faggotter. Rodney has a decade long history riding Yamaha’s both for official teams and independently. 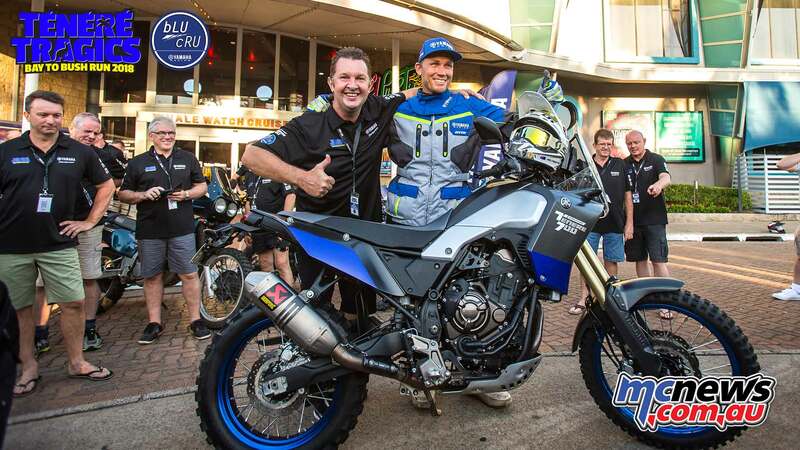 He carries a weight of experience with him that’s hard to beat having battled the odds and elements to conquer the mighty Dakar Rally at the start of 2018. Rod hooked up with Australia’s own Ténéré Tragics, where they attended the Ténéré Tour, a specialist tour full of Ténéré bikes from throughout the years. The Ténéré Tragics are dedicated to the ideal of capturing the next horizon, a philosophy that runs deep in the Ténéré line. Finding the next horizon focuses the rider on always searching for the next step in their own never ending adventure. 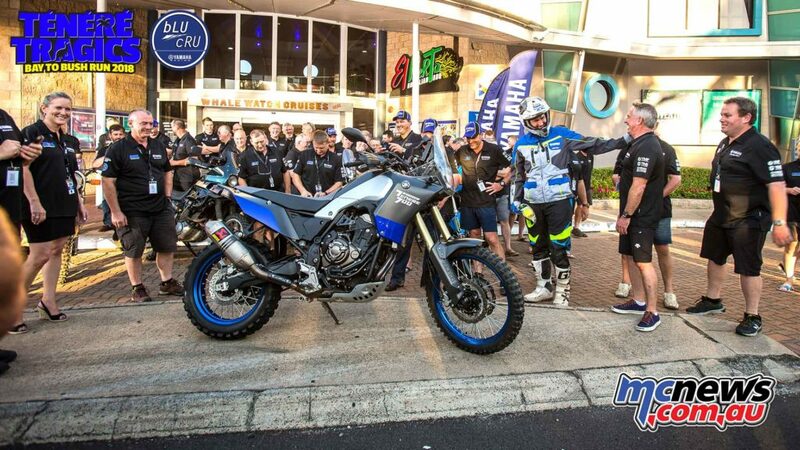 The Tenere 700 World Raid took pride of place with the Tragic’s. The first bike ever to win the Paris to Dakar Rally was the Yamaha XT500. Not only was it the first bike to win the Dakar Rally, it was the first vehicle to win it outright. Initially the rally had no separate car and motorcycle classes so the Yamaha machine was battling against rally tested giants such as Range Rovers and Renaults to pull off a spectacular Yamaha 1-2. 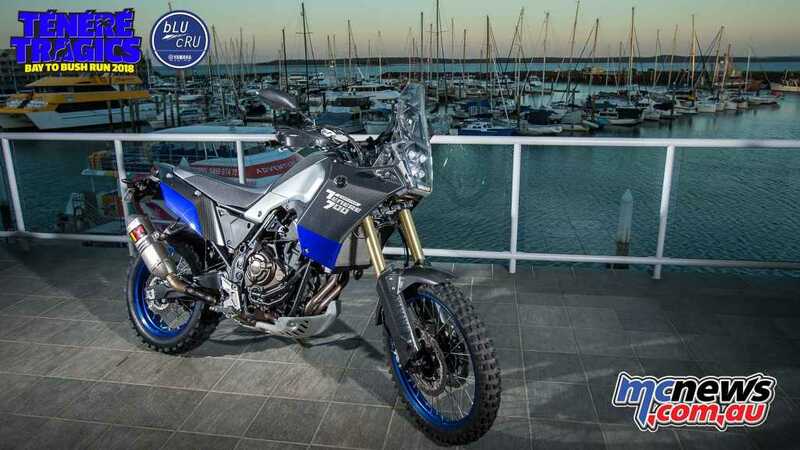 After another Dakar win the following year on the XT500 Yamaha found stiff competition as more manufacturers saw the potential of the rally which lead to a return to the drawing board and eventually the XT 600 Ténéré. From there the Ténéré name became synonymous with adventure and over the decades Yamaha worked hard to make sure they produced machines that yearn for exploration. This chapter of the Ténéré story began in November 2016 when Yamaha revealed the T7 concept and the Ténéré spark was reignited. 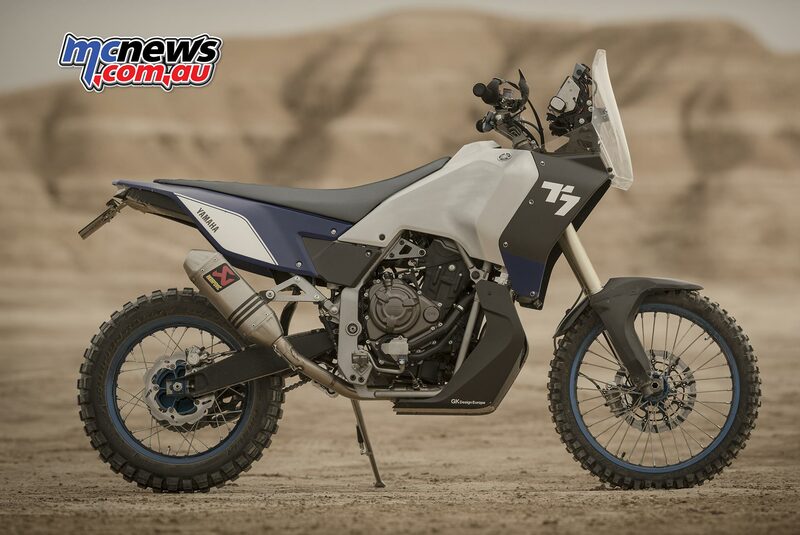 The idea behind the concept was to remind the world that Yamaha are dedicated to the ideal of exploration and wanted to get a new terrain stomping model out into the wilds in the future. 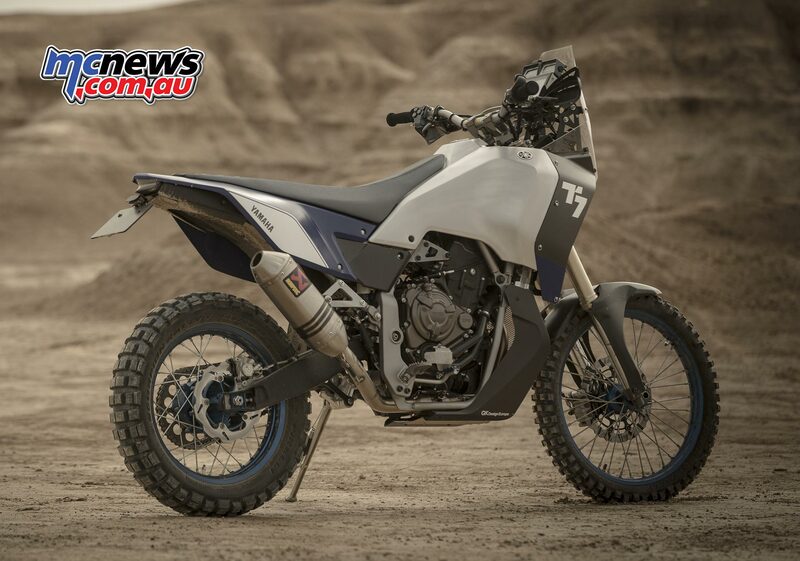 One year later a bold new design was revealed at EICMA, the Ténéré 700 World Raid. A prototype model which is being used to develop the final specification of the production model. The Ténéré 700 World Raid prototype was designed with adventure in mind, the perfect machine on which to chase your dreams. 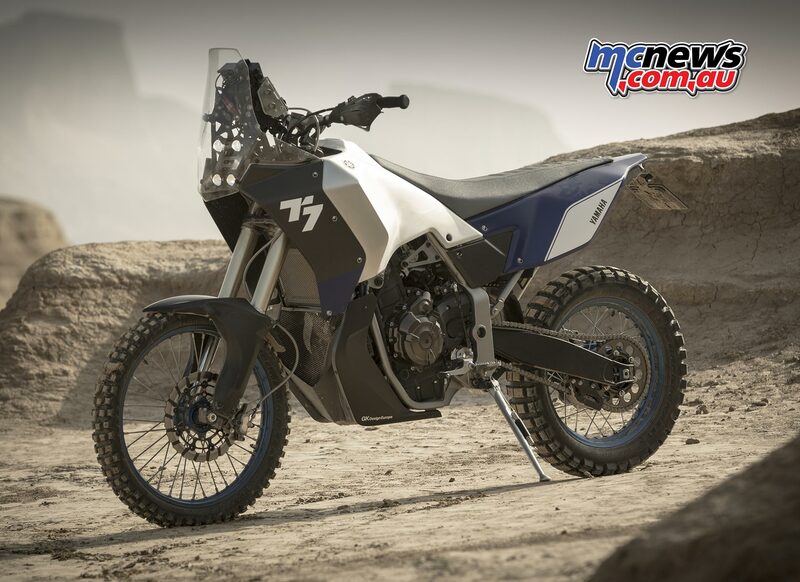 The bike retains the rugged, rally bred character of the T7 concept bike but has been extensively developed over a year’s worth of intensive testing on the T7. 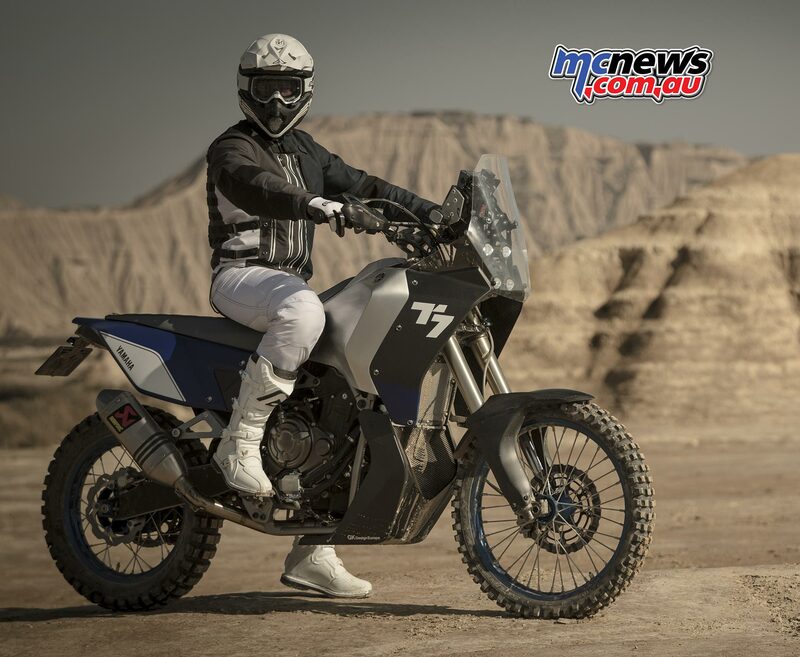 The Ténéré 700 World Raid’s chassis is light in weight and slim and the compact 689cc twin cylinder provides a wide band of tractable power that’s easy to use and perfect for anything the roads or mountains can throw at you. Add to all this an expanded pilot area for navigation equipment, Dakar Rally inspired 4-project headlight assembly and tweaks to every part of the chassis; what you get is a bike ready for any condition, any terrain, any time.